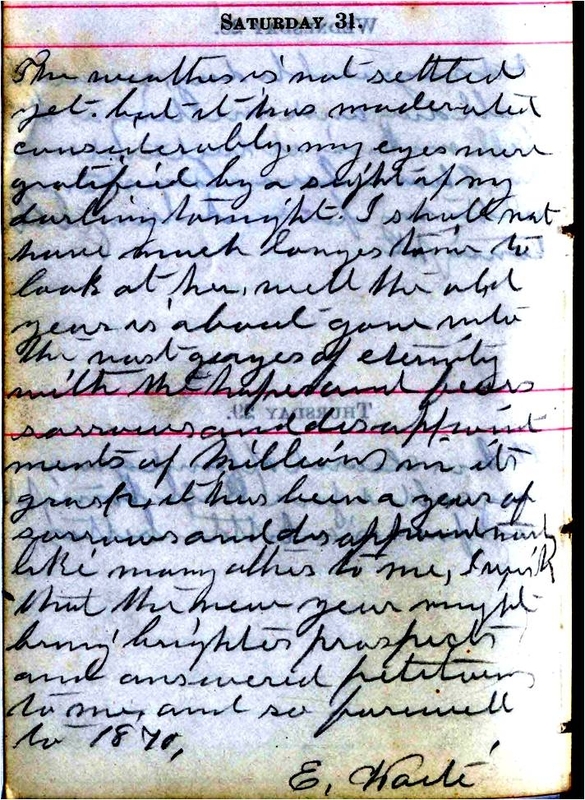 My final blog of the year is based on my own research into the 1870 diary of Emma Waite, housed in the Manuscripts and Special Collections unit of the New York State Library. 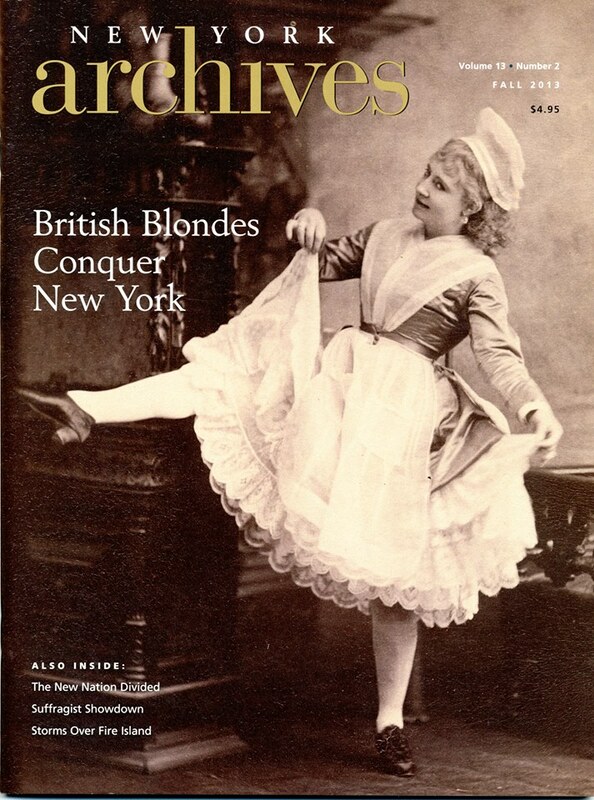 In 2005, I was the fortunate recipient of an Anna K. and Mary E. Cunningham Research Residency in New York State History and Culture at the Library, searching for any material related to nineteenth-century businesswomen in New York State. I did find a few trade cards (which were eventually reproduced on the cover of my book Unexceptional Women: Female Proprietors in Mid-Nineteenth-Century Albany, New York, 1830-1885 , SUNY Press, 2009) – but otherwise, nothing. As I continued my fruitless search, Librarian Paul Mercer encouraged me to look at the Emma Waite diary. Since this was the record of a worker rather than a businesswoman, I resisted his advice. One day, because my own efforts continued to prove futile, I decided that I might as well examine the diary. From the first moment I opened it, I have been convinced that Waite’s story deserves a wide audience. The “Emma Waite Diary” is an intriguing document, written by an African-American domestic servant and hotel cook who worked in Saratoga and New York City. Recorded on the pages of a small, leather-bound, printed daybook that Waite received as a gift early in 1870, it chronicles a single year in the life of this otherwise unknown individual. Waite’s opening entry: “Quite mild and pleasant for the first I did not spend a very pleasant new years day, was home sick all day,” foreshadows the challenges faced by a single black woman trying to make her way in New York State. Illness, injuries, bitter cold, exhausting work, headaches, unemployment, deadening heat, and racial discrimination plague Waite’s months in Saratoga. The photograph that accompanied the diary — is it Emma Waite herself, or a friend? Yet Waite also receives presents, enjoys parties and dances as well as sermons and lectures, goes out with friends, and takes part in church excursions. She uses her daybook to record special treats and presents. As part of a community of African-Americans living in the popular resort, Waite works hard but is also supported by a network of caring co-workers. Though they work as domestics and hotel cooks, Waite and her colleagues are clearly part of the black middle-class; Waite herself is quite literate, well aware of political and cultural events. Perhaps the most interesting section of the diary comes toward the end, in the fall and early winter, when Waite moves from Saratoga to New York City. Working as a day cook at Apollo Hall (not the famous Harlem dance hall, but a downtown venue at 28th Street and Broadway that could be rented for events), Waite is free to attend almost nightly lectures and performances, including speeches on women’s rights and spiritualism. Almost immediately, she develops an intense crush on Lydia Thompson, the Queen of Burlesque, and the last pages of the daybook are dominated by her passionate longing to see and perhaps work for her idol. Like the Narrative of Sojourner Truth, Waite’s personal record reminds us that long before the Great Migration of the twentieth century, African-Americans worked as domestic servants in the North as well as the South. Educated, articulate and acerbic, it is hard to imagine a literary voice more unlike the stereotypical “Mammy” than Waite’s. Although she is often bitter and angry, Waite can also be poetic, sentimental, and tragic. Through her penciled entries over a year, we can certainly study a community of seasonally-employed African-Americans working in two New York State locations – Saratoga Springs and New York City – in their work and leisure relationships. Though personal and idiosyncratic, the Emma Waite diary is a treasure-trove of material about the lives of African American workers in New York State—their labors, their leisure activities, and their social networks. As an historian of working women, my first interest in the diary was for what it would reveal about Waite’s working conditions and attitudes toward her various jobs. During the winter and spring of 1870, Waite worked on and off doing housework for private individuals, most of whom appear to have been other members of the local African-American community. Though necessarily brief (spaces for each day measure only a few lines), Waite’s entries on her month working for one “Mrs. Jackson” – probably an African-American matron married to the headwaiter at the Grand Union Hotel — conveys an overpowering sense of exhaustion. The summer season at Saratoga Springs offered Waite opportunities for employment in the big hotels. 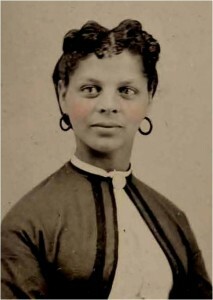 Her first job at the Union Hotel, where she was hired on June 2nd, ended the following day “on account of their getting white help.” On June 14th she “commenced work” at Congress Hall, where her initial doubts (“ I don’t know yet how I shall like it”) were quickly confirmed (“I do not like my situation much. I am almost burnt up already” she reported three days later), and resulted in her quitting on July 11th as the season got underway (“I am almost dead with the heat. 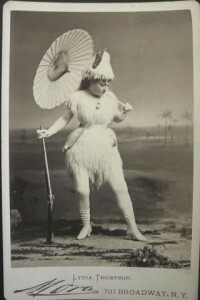 I left the Congress tonight.”) The following day Waite “commenced work at the Continental Hotel this morning,” where she soon reported that she was “getting along quite nicely, so far.” Although we can’t tell precisely what Waite did at each hotel, at the Continental the diary reveals that she was definitely working as a cook. When this job ended in mid-September, Waite spent several weeks looking for employment until her friends, the Hunters, sent for her to join them in New York City and she started as a cook at Apollo Hall. Despite the promise and importance of this manuscript, I have run into significant challenges when attempting to set the diary in context. Happily, many details can be verified. For example, Waite records hearing Elizabeth Cady Stanton on the precise date of the 1870 women’s rights anniversary celebration at Apollo Hall. I have also located the names of several individuals she mentions in the census and R.G. Dun credit records. Yet I have been unable to locate anyone named Emma Waite (or any variation that I’ve tested) in the Saratoga Springs federal census of 1870, although she should have been there on the day the census was taken. Without the census or any person papers, we have no way of knowing Waite’s age, where she was born, if she ever married, or when she died. 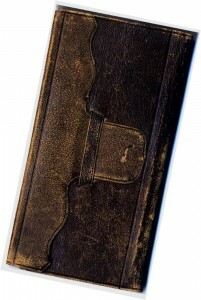 We do not know how the diary came into the possession of the Hoke family of Canajoharie, the collection with which it was acquired by the State Library in the 1980s. We do not even know if the photographic portrait that accompanied the diary is that of Emma Waite herself or a friend. 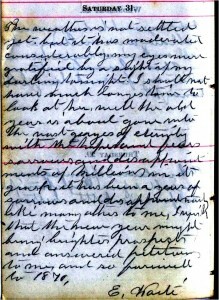 Although the diary was cited several times in Myra B. Armstead’s Lord, Please Don’t Take Me in August, African Americans in Newport and Saratoga Springs, 1870-1930 (University of Illinois Press, 1999), and excerpted in Field Horne’s The Saratoga Reader (Syracuse University Press, 2004), it has never been published in a full, edited edition. I trust that once my research has solved a few more of the mysteries in Waite’s story, the published diary will prove an excellent source for scholars and students of New York history. For those interested in learning more about Waite’s obsession with Lydia Thompson, Queen of Burlesque, please see my article “British Blondes Conquer New York,” co-authored with Morgan Gwenwald (Outreach Coordinator at New Paltz College’s Sojourner Truth Library), in the fall 2013 issue of New York Archives Magazine. Unfortunately, the article is not available in digital form, so you will need to borrow or order a copy of the magazine—which I highly recommend. As I wrap up my posts for 2013, and prepare to leave Florence, Italy, where I’ve been living this term, I’d like to start by thanking Gerald Benjamin, Director of the Center for Research, Regional Education and Outreach, for agreeing to host my new blog on New York State history. A special acknowledgement goes out to CRREO’s Senior Research Associate, Josh Simons, as well, who had the skills to turn my concept into a digital reality. Finally, I have greatly appreciated the comments and emails readers have shared and sent, and am grateful for all the interesting people I’ve “met” through this process. Emma Waite, Diary. BD18715, Manuscripts and Special Collections, the New York State Library. This blog entry is adapted and updated from my 2006 presentation at the Researching New York Conference at SUNY Albany. This entry was posted in Hudson Valley, New York City, Saratoga Springs on December 10, 2013 by Susan Lewis. Came upon your entries about New York while researching the 1917 activities of suffrage workers. I would love to meet and talk about New York and some activities taking place in the central NY region on NY Cultural and Historical Tourism. http://www.matildajoslyngage.org/gage-home/womens-rights-room/ of interest. I think that her position about Native Americans is important. Agreed! An excellent site that I used for my blog on Gage herself.